It's official: Series XI and XII to shoot later this year. It's been a long wait, we know. Ever since Series X of Red Dwarf aired on Dave, fans have been clamouring for more - and we've been as desperate to bring you news of the commission of a new series as you've been to hear it. Well, that day has finally arrived - and it's a better one than you might ever have anticipated. 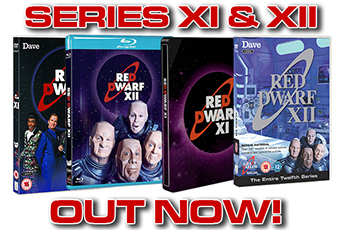 Because this afternoon, at the Dimension Jump XVIII convention, series co-creator Doug Naylor has announced that Series XI and XII of Red Dwarf will be broadcast by Dave in 2016 and 2017! Saturday 2 May, 2015 - UKTV's leading entertainment channel, Dave, today announced it has greenlit two new series of Emmy Award winning comedy sci-fi classic, Red Dwarf. Red Dwarf XI and Red Dwarf XII begin production in the autumn before airing on Dave in 2016 and 2017. Co-produced by Grant Naylor Productions and Baby Cow Productions, Red Dwarf XI and XII are written and directed by Doug Naylor. The series once more reunites Chris Barrie as Rimmer, Craig Charles as Lister, Danny John-Jules as Cat and Robert Llewellyn as Kryten. Red Dwarf XI and XII are commissioned by Richard Watsham, Director of Commissioning at UKTV, ordered by Dave General Manager, Steve North and will be overseen and executive produced for UKTV by Simon Lupton, Commissioning Editor at UKTV. The Executive Producer for the production company is Baby Cow's Henry Normal, and the Series Producers are Richard Naylor and Kerry Waddell. Doug Naylor said: "Steve North and everyone at UKTV have been so supportive of Red Dwarf from the start of their involvement with the show. Steve originally asked for more shows back in 2012 but frustratingly it's taken until now to get our ducks in a row and all the boys available at the same time. Now they are, we're all absolutely delighted." Simon Lupton, Commissioning Editor, UKTV, said: "Red Dwarf has superb talent attached; writing, directing and acting plus an expert team who absolutely know what they are doing when it comes to delivering a stand-out piece of television. It has a universal appeal that manages to touch long-standing fans and recruit new ones. 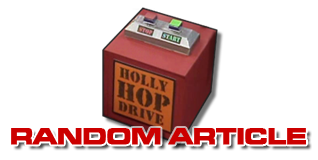 It is fantastic to be collaborating with them again on the next phase of the Red Dwarf adventure." Steve North, General Manager, Dave, said: "Red Dwarf is a really important show for us and I'm delighted that we are bringing more new episodes to our viewers. Above all else it's a really funny show and one that is held in great affection by millions of people, including the Dave team. We've built up a great relationship over the years with Doug and the cast and it's a privilege to be working with them again." To celebrate the announcement UKTV has added a bespoke collection of previous episodes, including the complete Red Dwarf X series, to its on demand service UKTV Play, which is available via the iOS or Android app, Virgin TV, YouView and at uktvplay.co.uk. 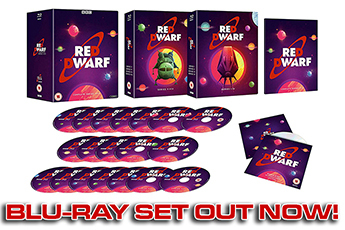 Red Dwarf X will also be available as a box set on Sky Go and Sky Set-top boxes. In 2009 Dave made its first move into scripted comedy commissions with Red Dwarf: Back to Earth, followed by a six-part series, Red Dwarf X in 2012. Red Dwarf: Back to Earth was the biggest ever non-terrestrial commission with over 2.6 million viewers tuning in to catch up with the four hapless space explorers as they returned to television for the first time since the BBC series ended a decade earlier. Red Dwarf X topped over 2 million viewers and never dipped below 1.6 million across the series. Red Dwarf has enjoyed phenomenal success since it first aired in 1988 on BBC2. It brought in more than eight million viewers for series eight, sold over 11.5 million DVD and videos worldwide, broadcast in some 25 territories worldwide and won International Emmy and British Comedy Awards. Excited about the show's return? Join the chatter on our Forum!